How to fix kernel32.dll problem on my PC? Hey, there? I have a problem with my computer. This morning when I powered on the computer to play my favorite game, all of a sudden, there was a message popping up saying “Explorer caused an invalid page fault in module kernel32.dll”. I don’t what it was and felt worried. So I just restarted the computer. Unfortunately, the message showed up again. Do you guys know what is happening to my computer? Can you help get rid of the message forever? Many thanks. More Description of the Kernel32.DLL Error. A number of different programs can be the cause of the kernel32.dll error on the Windows system. The message informing of the problem may pop up any time when you are handling tasks on the computer. In some cases, the users report that they are informed of the kernel32.dll error when the computer is booting up; while in some other cases, it is reported that the kernel32.dll error is displayed when the user is working with a program on the computer. Published by Sarah Poehler on January 9, 2017 3:04 pm and last modified on January 9, 2017 3:15 pm. Hi, I need help to uninstall Easy- Hide-IP completely and permanently from my laptop. It is too difficult to me, because I tried to do using control panel’s “add/remove program” feature but it always fails with a prompt with two options: retry and cancel. Clicking retry option that is always brings back the same exact prompt. This also happens when I tried its uninstaller plus TuneUP Utillties Uninstaller and CCleaner Uninstaller as well. They all fail with me exact same prompt that recurs every time I hit retry. How to uninstall it? Please tell me what to do? Hello, PC TuneUp Maestro keeps telling me that there is not enough space on my computer. It recommends me to do an optimization on my computer to free up the space. But I just trashed all the caches and cookies and did a completely clean by using Norton last night. Besides, my computer is working perfect right now except this fake warning hint pop-up. I didn’t remember when I installed this program on my computer. It just found it on my computer when the pop-up showed up on computer screen. What is it? Does it really help tune up the computer? But Google said it is an unwanted program. What should I do? I can’t remove it from my control panel. Norton doesn’t work. Please help! PC TuneUp Maestro is a potential unwanted program, which is advertised as a system optimizer. This fake application claims that it has the ability to help you clear/tune up your computer to make it worked faster and free from accumulation of trash. Once this virus installed, it first will run a full scan on your computer and then tell you few issues which were detected on your computer. From its self-promotion statement, you may think that this program is useful and legit computer clean product. However, there is nothing wrong with your computer. The stated issues are not existed. If you follow its guide to fix these issues, you may find that your problems can’t be fixed completely. PC TuneUp Maestro next will mention you that you have to buy the full set of this problem if you want to solve your problem quickly and completely. Watch out! Please don’t fall into the trap made by this rogue product’s producer. This is completely a rogue application which may not do any help for you on your computer. You should not keep it on your computer if you see it on your system. At the meantime, you should uninstall this fake program from your computer as early as you can. How to Uninstall Screen Resultion Manager from Windows Manually? Hi There. I need a favor from you. I can’t uninstall Screen Resolution Manager completely. It’s a Dell computer. My aunt used it for work and gave it to me as she had to leave and work abroad. She transferred all the important data. And now I am trying to clean the system. I found Screen Resolution Manager there. I was about to remove it as I didn’t think I need it. But, I couldn’t go ahead as error appeared. That didn’t happen when I uninstalled other program. Does that there is no way to uninstall it? Can you help me out? What is Screen Resolution Manager? Published by Emerson L. Sullivan on October 28, 2016 11:57 am and last modified on October 28, 2016 12:00 pm. How to Remove Megabackup Program from PC? Hello. Is anyone there? I have problem in removing Megabackup program from my PC. When doing a regular search this morning, I clicked on an image which looks interesting. Then, it had several pop ups changing my browser preference and opening up ads to buy home furniture online and other similar things. Everything happened so fast before I could react. I changed all my preferences back as well as deleting the cookies and relevant history. But, MegaBackup showed up on my Launchpad. I don’t think I installed it before. I don’t know how to get rid of it. Please help me out. Thanks. Published by Emerson L. Sullivan on October 27, 2016 6:12 am and last modified on October 27, 2016 6:14 am. How to Uninstall Style Jukebox Completely? Do you want to uninstall Style Jukebox Completely from your computer? Do you know how to uninstall it manually? This article will tell you something about Style Jukebox and the way to remove it completely from your computer. Uninstalling it from control panel is not enough. There are still some leftovers of this software stay in your computer. To free up more computer space, you should clean the leftover also. If you don’t know where the leftovers are, let’s give you some advices below. Style Jukebox is a music player that can be used on Windows, iOS, Android device. It allows users to upload their music to the servers then listen on the compatible device. For some people, this software is good to use. But for some people, they may think that this software is not good enough and want to try other music players. When people uninstall this software, they may find that it is not easy to uninstall this Style Jukebox completely from their computer. Or when they finish the uninstallation, they are told that there are some leftovers in the computer and they need to clean them manually. Published by Deb Mirren on October 26, 2016 3:50 pm and last modified on October 26, 2016 3:59 pm. Hey, there. What is Windows Live Essentials? Is it useful? If yes, why do I get troubles on the computer while I was using it? Is it just a package for application tools? I need to download everything while it asks me to do update. Why? My computer runs more and more slowly after I do an update. I want to uninstall Windows Live Essentials. But I can’t uninstall it normally as I uninstall other program by using the antivirus program or through control panel. By the way, my computer is Windows 8. How do I uninstall this program successfully? Please help! What Is Windows Live Essentials? Windows Live Essentials is a suite of free application package with various tools installation package, which is created by Microsoft. This free application aims to offer computer users with integrated and bundled other application tools including Windows Live Messenger, Windows Photo Gallery, Windows Movie Maker, and Windows Live Mail, Outlook Connector Pack, Windows Live Writer, SkyDrive, Windows Live Family Safety (Windows 8 and other higher Windows systems don’t contain this component). It is said that if you install the full version of this application you can enjoy e-mail sending, instant messaging, photo-sharing, blog publishing, and security services more easily. Windows Essentials applications can be installed for free on Windows 7, Windows 8, Windows 8.1 as well as Windows 10 etc. Previous versions are also available on Windows XP, and Windows Vista. How to Remove Ad-ware Lavasoft? Hi, there. I got a new laptop. I had gotten an Ad-ware Lavasoft from Lavasoft for couple of weeks. This application attach to my computer while I just bought my computer. Due to this Lavasoft application, my computer worked weirdly. I was told to uninstall the program from my computer. But I tried to use antivirus programs to uninstall it. None of them worked. What should I do? How do I remove Ad-ware Lavasoft from my computer? Please help! We HAVE to use this type of software but, sadly, I still don’t trust it. Too much money to be made by them to just look the other way for a while so that specific “paid-up” pieces of spyware get to run loose long enough to do their job. Then Ad-aware suddenly becomes aware of the problem and SAVES us all from the horror! I have Ad ware by Lava soft on my PC-ity was not active until I looked at it last week to see what was the status. I now seem to have half installed updates which in turn are interfering with the startup process when I turn my PC on. I have tried to uninstall it, load it in full etc. My diagnostics says it is slowing the computer but \I cannot switch it off as it does not show on my start up menu. How to Uninstall a HTC driver in the C folder? Hello. How to uninstall a HTC driver in the C folder? I connected my phone to my computer to transfer some photos last night. And then I saw the HTC driver in the C folder. I know it is not a bad program, but I don’t want it to occupy any space on my computer. The problem is I have no idea how to remove it completely. I did remove some files and its shortcut while it said “Failed to uninstall.” I don’t know what’s wrong with it. Can you help me uninstall it? Thanks. Published by Emerson L. Sullivan on September 24, 2016 6:24 am and last modified on September 24, 2016 6:26 am. 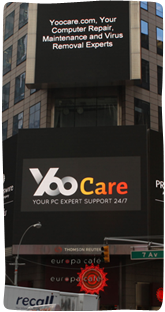 Cannot Totally Remove SSC Service Utility from Your PC? Hello. I have a problem on my pc. Here is the detail. I have changed printers and deleted SSC Service Utility from my control panel, but when I try to delete it from my C Drive, it tells me access denied. How do I get that folder off my C Drive program files? I tried everything, but no luck. Please help me. Thanks a lot. What is SSC Service Utility? Published by David MicKinney on September 3, 2016 12:15 pm and last modified on September 9, 2016 3:32 am.